Home Of The Brave wins 2018 Theo Marks Stakes Group 2 $200,000 at Rosehill (NSW), 1300m. 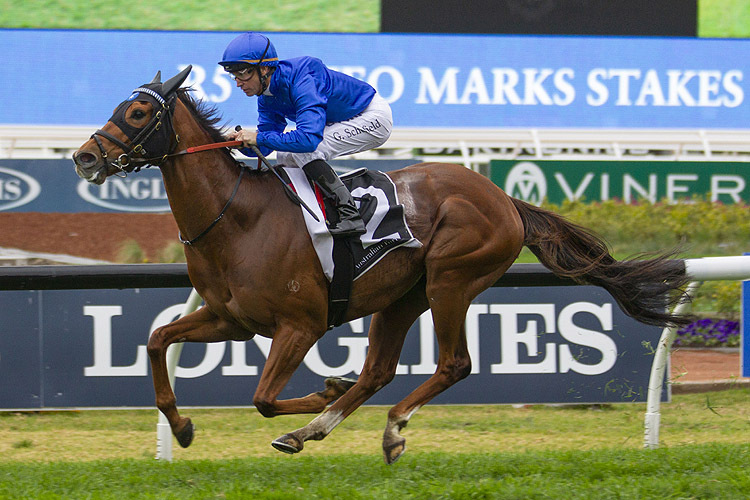 Godolphin’s import Home Of The Brave followed his promising second when making his Australian debut in the Aurie’s Star Handicap (Gr 3, 1200m) at Flemington on August 11 with a very smart win here. He began well, soon went to the front and Glyn Schofield let him stride along approaching the 600m. He then fought back strongly in the straight, comfortably holding off his opposition to win impressively. The Rosehill Guineas (Gr 1, 2000m) winner D'Argento showed early pace to settle in third place. He set out after the leader nearing the home run, briefly looked a threat at the 200m and then battled on gamely for second in a really promising effort at his second run this preparation. Trapeze Artist raced back in fifth place, one off the rails, put in a good run coming to the 300m and battled on strongly under his top weight (61kg) for a very good third, resuming here. Shillelagh raced in second last place in the seven-horse field and she kept making up good ground for (3.7 lengths) fourth in a promising first-up performance. 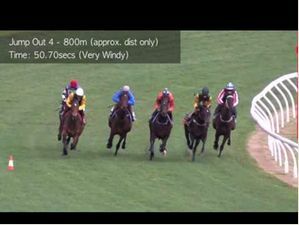 Race Synopsis: Godolphin's import Home Of The Brave followed his promising second when making his Australian debut in the Aurie's Star Handicap (Gr 3, 1200m) at Flemington on August 11 with a very smart win here. He began well, soon went to the front and Glyn Schofield let him stride along approaching the 600m. He then fought back strongly in the straight, comfortably holding off his opposition to win impressively. The Rosehill Guineas (Gr 1, 2000m) winner D'Argento showed early pace to settle in third place. He set out after the leader nearing the home run, briefly looked a threat at the 200m and then battled on gamely for second in a really promising effort at his second run this preparation. Trapeze Artist raced back in fifth place, one off the rails, put in a good run coming to the 300m and battled on strongly under his top weight (61kg) for a very good third, resuming here. Shillelagh raced in second last place in the seven-horse field and she kept making up good ground for (3.7 lengths) fourth in a promising first-up performance.